The weight and fat loss processes are not easy to follow. The products that promise miracles have failed and all roads point that the best way for weight loss is intense physical exercise and a balanced and careful diet. Rather than spend your money on dozens of fat burner supplements marketed in pharmacies and promise quick fat burn, you can get a taste (literally and figuratively) on how to burn fat using food. 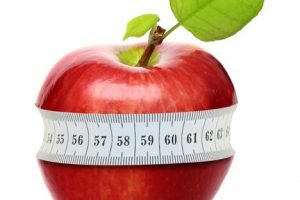 There are some types of food that can help you lose weight free of charge, healthy and without any side effects. Why we need to eat pears: According to a study by the University of Rio de Janeiro, the addition of fresh fruit in our diet cuts the appetite, reducing the total number of calories consumed daily. In a survey made to women who consumed 3 pears a day, showed that they were getting in overall less calories every day, and thus losing more pounds than those who did not consume pears. Pears are also rich in dietary fiber (15% of SIP); they «fill» the stomach and prevent us from eating more than we should. How to Eat: Eat a pear before each meal to reduce hunger. You have to remember that the greatest amount of fiber is found in the bark. Why we need to eat grapefruit: According to recent surveys in the Scripps clinic in California, eating half a grapefruit before each meal can help you lose up to a pound a week. This «traditional weight loss” fruit really helps to reduce fat and cholesterol, mainly thanks to a special fiber pectin associated with fat burning. It is also rich in vitamin C and potassium and contains no fat or sodium. Finally, it contains natural Emulsifiers fighting fat and cholesterol. How to eat: You can try it with cinnamon, which reduces the bitter taste without adding sugar. Why do you need to eat beans: The beans are full of a special starch, called resistant starch (about 10gr per cup), which has strong fat burning action. If you add to your diet one meal a day it will help you “burn” up to 25% more fat than usual. These finding were the results of research by the University of Colorado. Why do you need to include almonds in your weight loss diet: eating a handful of almonds a day can help you lose fat in a healthy diet, according to recent research. People, who ate on daily basis almonds for six months, lost 18% of their body fat. Those who followed a diet with the same amount of calories and protein, but replaced the almonds with carbohydrates of the same caloric value, lost only 11%. How to eat: You can easily eat them to the office or on the street as a snack or even to combine with yogurt or honey. Surprisingly as it sounds, chocolate can prevent the accumulation of fat cells in our body. Do not hurry to be delighted and run in a kiosk and buy all sorts of chocolates. We refer to black chocolates, as this only chocolate type has beneficial properties for the loss of fat, according to research from the University of Taiwan. Add sparingly in your diet (without exaggerations) and benefit from the action of antioxidant substances. Serving suggestion: Melt 30gr. of black chocolate in microwave for 30 seconds and then spread on a total milling cracker (approximately 98 calories). Why you need green tea in your weight loss diet: The green tea contains ingredients that benefit health and fight obesity. Modern research has shown that tea has anti-inflammatory and diuretic properties, which are mainly due to high rates of flavonoids it contains. It is ideal for a weight loss diet since it helps in reducing hunger when consumed regularly. Systematic tea consumption increases the energy expenditure of the organism, «burns» stored fat by enabling combustion within the metabolism. Changes also the distribution of fat and reduces fat located in the abdomen. Among the top fat burning foods is also vinegar and lemon. The combination of vinegar and lemon is the best “possible” fat burner. If you combine it with a fresh green salad rich in antioxidants and add one-tablespoon of olive oil (rich in omega-3 fatty acids) then you have a full meal, which boosts the fat burning process. Peanut butter and weight loss: Peanut butter is also good for weight loss! Why? It is full of protein and fiber, which keeps your stomach full longer and reduces the need for fatty sweets! The first thing to do when you wake up in the morning is to drink plenty of water. Many times half the weight you gain in times that your weight is increasing is due to fluid retention in the body. The water will help your body to remove the extra liquids. Set a target to double the consumption of fluids. Remember that the extra fluid need not be derived from clean water. Fruit juices, milk, fresh fruit and vegetables, soups are doing the same job. Finally, pay attention to how much salt is contained in the food you consume as this affects the levels of fluid retention. The first solution that comes to your mind after a period where you eat more food than expected is to follow a diet very low in calories. Wrong. This would confuse your metabolism, leading to other problems. The best approach is to decrease gradually the amount of food you eat, focusing more on increasing protein intake. These will give a boost to your metabolism, «burning» more calories. The training with weights at the gym is suggested in periods where you eat more than expected. Sometimes it is more effective than to spend hours on the treadmill or running. This is because it is based solely on the storage of glycogen in the muscles. If the food you eat were rich in carbohydrates such training will help you use them. If you choose on the other hand, the cardiovascular exercise (running) your organism will not burn as many calories as in training with weights, or continue to burn calories after the end of the exercise. You can read more information at 28 weight loss tips with exercise. Since alcohol contains not only «empty» calories, but it may also affect the proper decision making regarding food, try to avoid it for at least two days to recover fully. If you want a drink at all costs, drink only one. 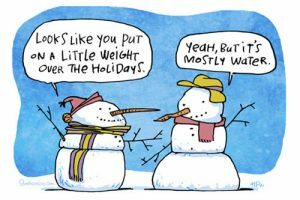 Now if you intend to eat more than the usual, either because of a holiday or party, then there are some things you can do to prepare properly and to reduce the chances to get extra pounds. First, if is possible try to go to the gym prior to that, and make a fairly intense workout with weights. This will reduce glycogen in the muscles resulting in the absorption of as many calories as possible by the muscles. 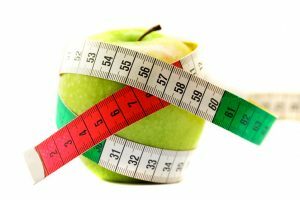 This article outlines ways on how to burn fat with food and also explained what you need to do to protect your self from gaining extra weight during the holiday periods or periods that you usually eat more than expected. Eating healthy fats, like sesame oil, flax seed oil, fish oil, coconut oil, and free-range animal fat will effect your bodies hormonal level to release more energy from existing fat cells. All you have to worry about is not to go over your daily caloric intake.